At McKenzie Orthodontics, Dr. Angela Sharma stresses that it is never too late to begin orthodontic treatment, but early detection is even better earlier than later! 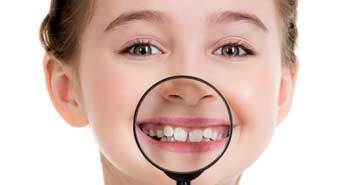 What Makes Early Orthodontic Treatment and Detection So Important? The American Association of Orthodontists recommends that kids should have an initial orthodontic screening by age 7. There are several ways your children can benefit from seeing an orthodontist at an early age, and this does not necessarily include treatment. Ideally, we can monitor your child’s growth patterns until we determine it is time for treatment to begin. This can help us get the best results in the most efficient way while blunting any future problems early on. Since very child’s development is different, most children’s first adult molars emerge around age six. Along with other developmental signs, this lets us get a handle on the basic alignment of the teeth. To do this we look at the front to back alignment, then the side to side alignment. Doing this also lets us to know if there is enough room in the developing mouth for all of the permanent teeth. What are Interceptive Orthodontic plans? Since the new standard is to start assessing your child’s teeth at age 7, this allows us to monitor your child’s development as they are still growing, thus potentially intercepting future orthodontic issues. Interceptive plans may not eliminate the need for braces or retainers altogether, but it will support future treatment and minimize any impact that corrections to bite and alignment may have. Interceptive Orthodontics provides the optimal conditions for good jaw alignment and bite development. Less periodontal disease in later life. Call us at (403) 262-3696 to book your Early Treatment Consultation with us today!